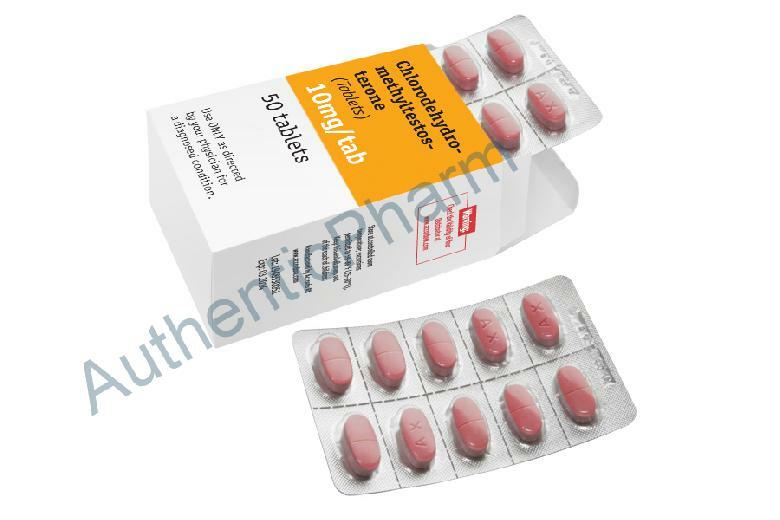 Chlorodehydromethiltestosterone by Accordo RX is an oral steroid which contains 10mg of the hormone Chlorodehydromethyltestosterone. Chlorodehydromethiltestosterone, as it is often called, was first discovered in East Germany in 1962. The steroid became very popular due to its high anabolic properties while being a fairly low androgen. This drug is considered to be the main component of the famous East German doping machine, in which thousands of Germany?�?�?�????????? ?s Olympic athletes were secretly given steroids in hopes of dominating the Olympics. Chlorodehydromethiltestosterone is in the same family of steroids as methandienone. The results of this drug are often reported by bodybuilders as being similar to those of D-bol, yet without any of the bloat. The lack of bloat is due to the fact that Chlorodehydromethiltestosterone doesn't aromatize in the body, and therefore no estrogen related side effects become present. Users of this steroid often report very good gains in strength along with a slight gain in quality muscle mass. Chlorodehydromethiltestosterone is often used as a ?�?�?�????? ?�jump start" to a cycle. Here the quick acting effects of the oral allow the bodybuilder to start experiencing gains and "pumps" early on, while the injectables being used in the cycle have more time to take effect. Chlorodehydromethiltestosterone is a very versatile steroid and can be used effectively in both cutting and bulking cycles. It stacks well with virtually all compounds, and is also effective at lowering SHBG in the body, thus making the other compounds, such as Testosterone, even more effective. Chlorodehydromethiltestosterone is also commonly used as a "bridge" in between cycles. Here a low dose of the drug (10-15mgs a day) will be used in between cycles in order to prevent a total ?�?�?�????? ?�crash" and to help the bodybuilder preserve gains made from the previous cycle. Chlorodehydromethiltestosterone is a C-17 oral, and therefore can put some stress on the liver. Because of this, it?�?�?�????????? ?s recommended that users keep doses in reasonable ranges and try to limit their cycles of this steroid to no more than 8 weeks at a time. The common dosages used would be 20-40mgs a day. Women bodybuilders also find this drug favorable and typically use it in a dosage of 5mgs a day.